Passport Details and Date of Birth Can they be Used? 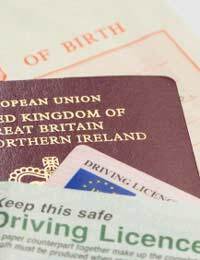 Home > Ask Our Experts > Passport Details and Date of Birth Can they be Used? My passport number and date of birth were written down and lost. Can somebody use this information? Also, my name was on it. Any personal information about you can be used fraudulently by criminals who specialise in identity theft. And, although a piece of paper containing details such as your name, date of birth and passport number cannot simply be used on their own to obtain a new passport, there may be other security implications. Criminals can use personal details to open bank accounts and to take out credit cards, obtain loans, get state benefits and, depending on the level of information they have, it is possible for them to try to fraudulently obtain passports and driving licences. The Identity and Passport Service state that your identity and personal information are valuable assets and they advise people to keep such information secure. In the instance of losing a piece of paper with these details on, it’s recommended that you keep a watchful eye on things like bank and credit card statements. If you’re extremely concerned, you could seek to obtain a copy of your personal credit file from one of the credit reference agencies. You’ll usually need to pay a small fee to obtain your credit file but it’s worth checking. The thing to look out for on your credit file is for any companies who may be listed but with whom you’re unaware of any dealings. Another safeguard here is to contact CIFAS Protective Registration www.cifas.org.uk which allows you to add a password to credit information to be requested by lenders should they receive any further credit applications in your name. I believe my ex-landlord has got hold of two doctor appointment letters which showed my NHS number and my date of birth, and now I am worried about what he may do with this information? Could he try to locate my new address or any other information about me? What can I do?